August Spies was born in Landeck, Germany in 1855. Spies emigrated to the United States in 1872 and settled in Chicago where he became a upholsterer. 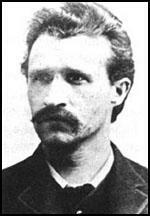 He became involved in trade union activities and joined the Socialist Labor Party in 1877. Three years later he began contributing to the anarchist journal, Arbeiter Zeitung, and became editor in 1880. Spies developed a reputation for his violent speeches. In October 1885 he told a meeting of the Central Labor Union that: "We urgently call upon the wage-class to arm itself in order to be able to put forth against the exploiters such an argument which alone can be effective - violence." The campaign for the eight-hour day was organised by the International Working Men's Association (the First International). On 3rd May, the IWPA in Chicago held a rally outside the McCormick Harvester Works, where 1,400 workers were on strike. They were joined by 6,000 lumber-shovers, who had also withdrawn their labour. While Spies was making a speech, the police arrived and opened-fire on the crowd, killing four of the workers. The following day Spies published a leaflet in English and German entitled: Revenge! Workingmen to Arms!. It included the passage: "They killed the poor wretches because they, like you, had the courage to disobey the supreme will of your bosses. They killed them to show you 'Free American Citizens' that you must be satisfied with whatever your bosses condescend to allow you, or you will get killed. If you are men, if you are the sons of your grand sires, who have shed their blood to free you, then you will rise in your might, Hercules, and destroy the hideous monster that seeks to destroy you. To arms we call you, to arms." 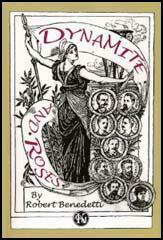 Spies also published a second leaflet calling for a mass protest at Haymarket Square that evening. On 4th May, over 3,000 people turned up at the Haymarket meeting. Speeches were made by Spies, Albert Parsons and Samuel Fielden. At 10 a.m. Captain John Bonfield and 180 policemen arrived on the scene. Bonfield was telling the crowd to "disperse immediately and peaceably" when someone threw a bomb into the police ranks from one of the alleys that led into the square. It exploded killing eight men and wounding sixty-seven others. The police then immediately attacked the crowd. A number of people were killed (the exact number was never disclosed) and over 200 were badly injured. Several people identified Rudolph Schnaubelt as the man who threw the bomb. He was arrested but was later released without charge. It was later claimed that Schnaubelt was an agent provocateur in the pay of the authorities. After the release of Schnaubelt, the police arrested Spies, Samuel Fielden and five German immigrants, George Engel, August Spies, Adolph Fisher, Louis Lingg, Oscar Neebe, and Michael Schwab. The police also sought Albert Parsons, the leader of the International Working Peoples Association in Chicago, but he went into hiding and was able to avoid capture. However, on the morning of the trial, Parsons arrived in court to standby his comrades. All the men were found guilty: Spies, Albert Parsons, Adolph Fisher, Louis Lingg and George Engel were given the death penalty. Whereas Oscar Neebe, Samuel Fielden and Michael Schwab were sentenced to life imprisonment. On 10th November, 1887, Lingg committed suicide by exploding a dynamite cap in his mouth. The following day Parsons, Spies, Fisher and Engel mounted the gallows. As the noose was placed around his neck, Spies shouted out: "There will be a time when our silence will be more powerful than the voices you strangle today." We urgently call upon the wage-class to arm itself in order to be able to put forth against the exploiters such an argument which alone can be effective - violence. Seven policeman have died, said Grinnell, suggestively winking at the jury. You want a life, and have convicted an equal number of men. If we are to be hanged on this principle, then let us know it, and let the world know what a civilized and Christian county it is in which the Goulds, the Vanderbilts, the Standfords, the Fields, Armours, and other local money hamsters have come to rescue of liberty and justice! Now, these are my ideas. They constitute a part of myself. I cannot divest myself of them, nor would I, if I could. And if you think that you can crush out these ideas that are gaining ground more and more every day; if you can crush them out sending us to gallows; if you would once more have people suffer the penalty of death because they have dared to tell the truth and I defy you to show us where we have told a lie I say, if death is the penalty for proclaiming the truth, then I will proudly and defiantly pay the costly price! Call your hangman! Truth crucified in Socrates, in Christ, in Giordano Bruno, in Huss, in Galileo, still lives - they and others whose number is legion have preceded us on this path. We are ready to follow!